I’m just returning from a productive weekend of fieldwork in New Orleans. I have several of these short weekends planned in the next few months – an unfortunate necessity that would be much better served if I could just spend a week straight on the streets. Shocker here – I can’t. The ten years I did spend walking them is certainly an advantage, and I’m now realizing how much access and information I have that’s allowing me to complete this project – I’m grateful. Saturday was highly productive. My partner and I systematically roamed throughout the quarter for several hours so I could make recordings, take photos, and note locations on my map. I won’t write too much here (you’ll have to read the thesis to find out more), but suffice it to say that I’m surprised at how stationary these musicians are. The busking locations never deviate. 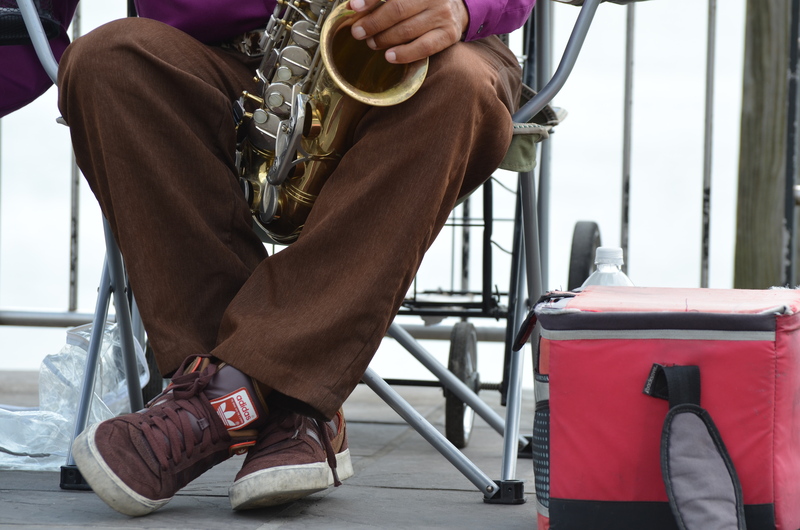 It’s as if there are fifteen designated spots for these musicians to plant their feet and they come back to these spots, day after day (often switching between them) – of course, a lot of it is based on foot traffic. Sunday was less productive, but I learned a lesson. It’s an odd thing to return to the city you call home and think of it as a research project. I never noticed before that during a Saints [football] game, the streets are empty – probably because I was always on a bar stool during the games. A game started at noon yesterday, so by eleven the streets were clearing out. For street musicians this means less foot traffic, less money, and less overall exposure. There’s no reason for them to be out there. As I was seeking them out, they were packing up to find a bar stool in front of a TV. The musicians that were out and about (such as Doreen’s band) were plastered in Saints regalia. My lesson? For future fieldwork trips, I need to consider game times (or at least talk about the game time phenomenon in my work). I’ll say it once again… why on earth is the Society for Ethnomusicology (SEM) annual meeting during the same weekend as the American Anthropological Association (AAA) annual meeting? Does this make sense – to anyone? Bueller? This past week, I had to read this book for a Field & Lab class. The text proved to be advantageous as an approach that manipulates one’s ethnographic mindset into thinking visually rather than textually. 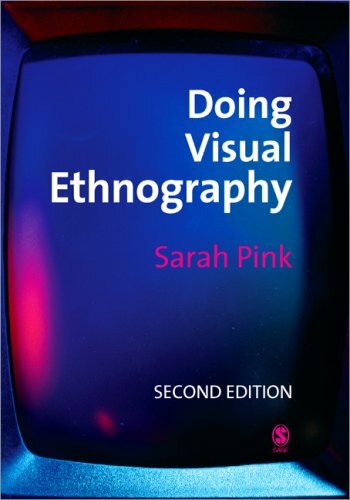 While it’s not a how-to manual for visual ethnography, it does represent a particular enlightening approach that many novice researchers could benefit from reading. It is primarily for ethnographers who wish to incorporate visual facets into their work, and in that it achieves its goal. Although it seems a rather simple concept, training the mind to consider various media as potential representations of knowledge (Pink) has rerouted my thinking much as though learning right-hand piano on the left hand would do. 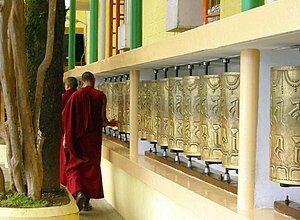 In my limited experience, I’ve generally used video and photography whenever possible, however not with the deliberation as a means to create and represent knowledge – instead, more as a supplement to fieldnotes, or simply a way to remember those intricate details of settings or outfits that my mind would let slip away (as a means to “inform ethnography”). Both certainly are beneficial. Of particular relevance is that Pink spent a great deal of time discussing how important [and different] it can be to work closely and for extended periods of time with your subjects in order to access the personal happenings in their daily lives and to eventually record histories and narratives. While this is one of the chief standards of ethnographic research, Pink notes that doing so within the framework of visual ethnography would allow one to get more intensely personal photographs and video. Again, this seems blindingly obvious, however it creates a certain mindset for the ethnographers to center themselves within. The first couple chapters situate themselves in this idea of mindset. How do we train ourselves to become visual ethnographers? The endless premeditated reflexivity of our own research is one possible answer that seems to recur regardless of what we’re attempting to progress towards, and certainly a recurring theme of our disciplines’ ideology. The text piqued my curiosity in consideration of an anthropological approach to consumption: of material possessions, and perhaps of visual media itself. What will the photographs I include in my work conjure thoughts of for those who read/view it? Pink briefly discusses how visual images and technology are woven into the culture of those we study as well as the academic culture in which we work. If there were a credo to visual ethnography, these points would unquestionably be bulleted. A couple weeks ago in New Orleans, I found myself sitting on an elevated sidewalk in the French Quarter listening to a band of street musicians. The members were all homeless street kids, those I would consider “gutter punks”. Moments after sitting, I realized I had sat next to a couple who also fell into this category and after making small talk about how we both enjoyed the group, without being prompted the female began talking with me about their transient lifestyle, her own musical experiences as a street artist, and the relationship dynamics between those in their community. Although I wasn’t expecting it (nor was I prepared), I asked her if she would let me record our conversation. Two hours later, it ended up being the most productive unstructured interview I’ve concluded. This taught me several things about preparation, which Pink discusses throughout her text. I had two pieces of equipment with me at the time – an iPhone, and a 14 megapixel digital camera which does not record audio or video. Luckily, I had already downloaded several recording applications to my iPhone and was able to swiftly place it between us in an unobtrusive way. This allowed me to record the entirety of it. It also allowed me to take various video clips of the band as I was recording our conversation with the same piece of “equipment”. Towards the end of our time together, I was able to use my digital camera to take photos of them, and of the couples’ fantastic [and significant] tattoos. In this way, visual research unexpectedly became part of my project. …as Pink states in this text, often ethical decisions cannot be made until you’re standing in the field. This is a continuous process.